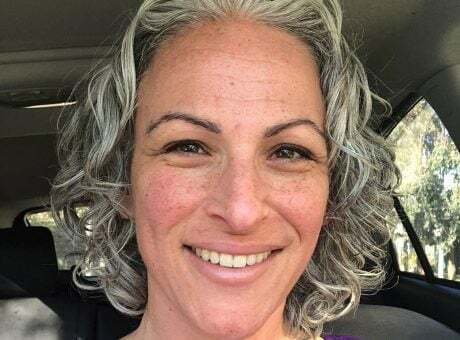 Can Overtone Soften the Demarcation Line? 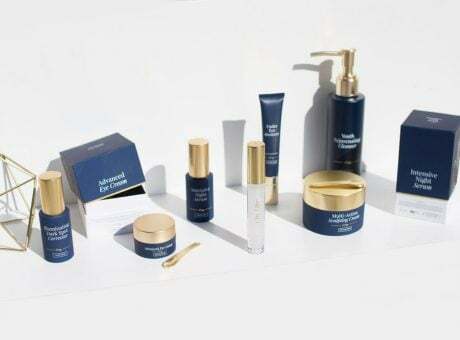 If you have been active in the gray hair communities on Facebook and Instagram, you’ve probably heard a lot of talk about Overtone. 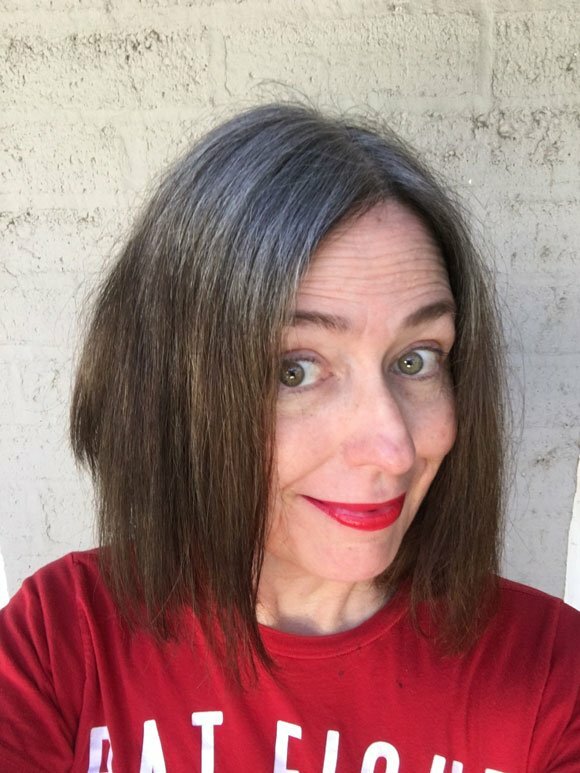 Overtone is a tinted conditioner (not a dye!) that some women use to add fun colors to their hair. A lot of young women use the silver shades to tint their hair silver or slate gray. 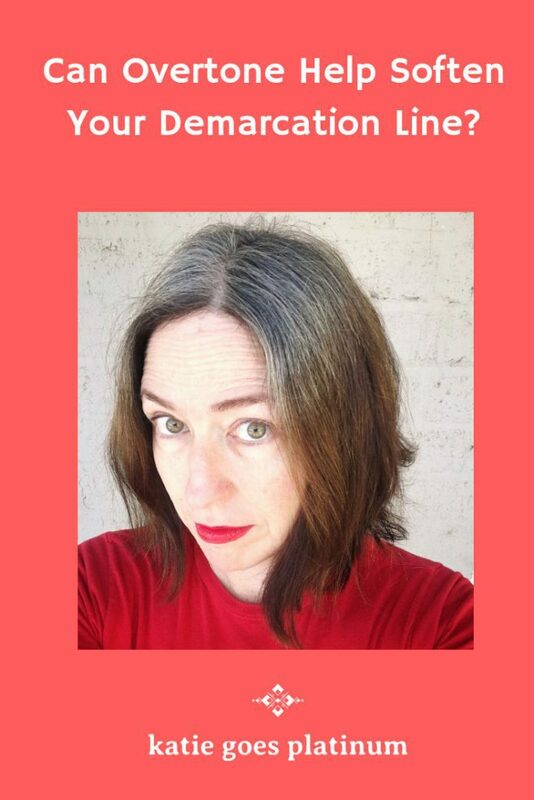 But can Overtone soften the demarcation line for women who are transitioning to their naturally gray hair? That is the question everyone is asking, so I decided to make myself into a human guinea pig and try it out! As I’ve said before, my demarcation line doesn’t bother me. But, what if you have a big event (like a speaking engagement or a wedding) and your demarcation line is bothering you? 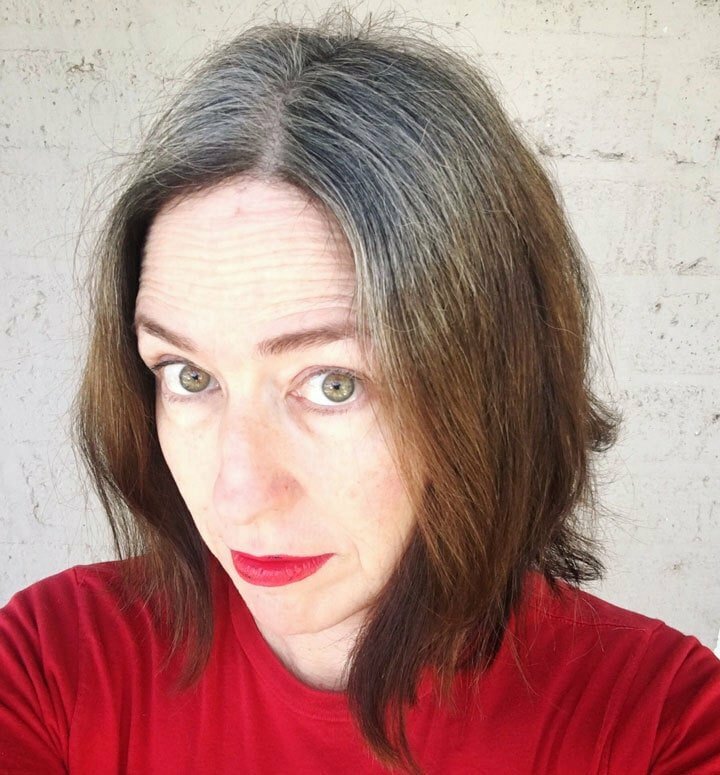 Would Overtone help blend your faded dye with your natural silvers? You can watch my video below, and read more after the video (or heck, you’re welcome to skip the video and just read my thoughts below! But then you’ll miss seeing my cute pug). One note – I said in the video that I was only going to use it on the dyed parts of my hair, but I went ahead and put it all over. I’m actually glad I did that as it was interesting to see what effect it had on my silvers. 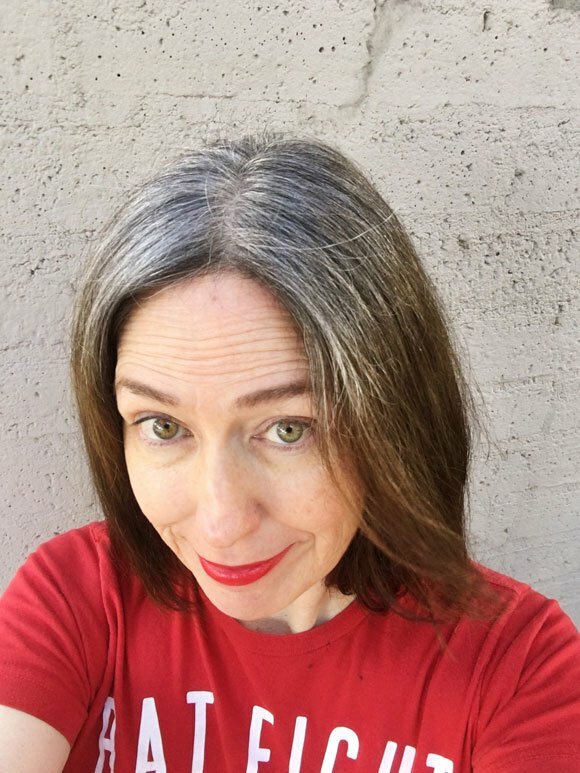 If you have lighter hair (blonde, strawberry blonde, light brown), or if your dark brunette dye has REALLY faded (to a light orange), I think Overtone Extreme Silver Deep Treatment could work to blend your faded dye with your natural grays (for lighter hair, you might want to try a lighter silver shade). But even though my dark hair dye has faded quite a bit in the past 7 months, I think the answer for us dark brunettes is NO. The demarcation line is only a teensy-weensy bit less obvious now that I’ve tried the Overtone. 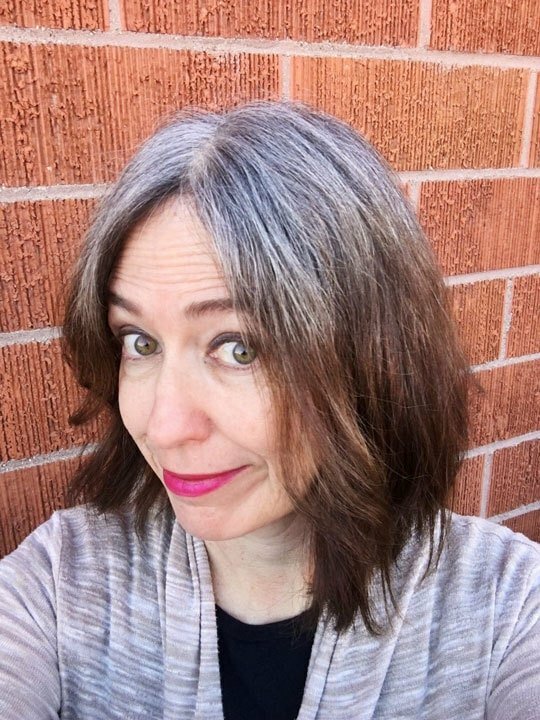 It turned my natural silvers a deeper silver color (which will fade after a few shampoos) – in fact, they even have a slight blue tint (which doesn’t bother me but might drive some people up a wall!). But, now that I’ve had 24 hours to think about this, I have to admit that you can still see the demarcation line. I was crabby when I took this Before-Overtone Picture! After Overtone - and Before Curling Iron! After Overtone - Silvers are REALLY silver! The upside, though, is that my hair feels FANTASTIC. It is smooth and soft and feels like I’ve used a really great deep hydrating conditioner on it. 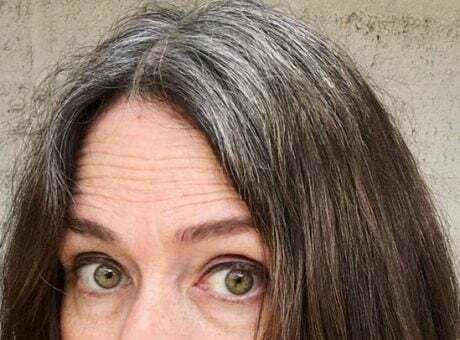 I like the slate gray/blue tint it gave my silvers, but I’m also happy with my natural silver color, so I think I’ll probably wait to try the Overtone again once my dyed bits have faded quite a bit more to see if it “takes” better. How about you? 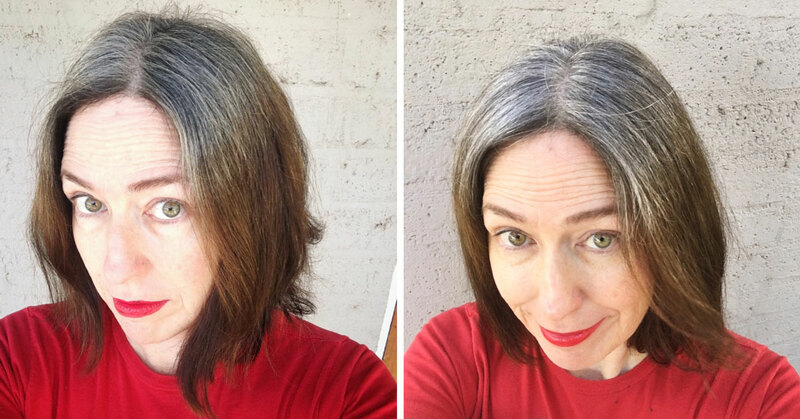 Have you tried Overtone to blend the grays during your transition? Did it work for you? Let me know in the Comments!